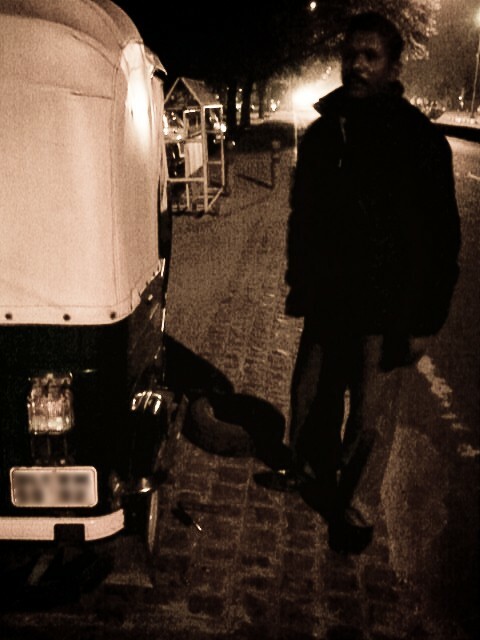 An auto driver's life cannot be an easy one. 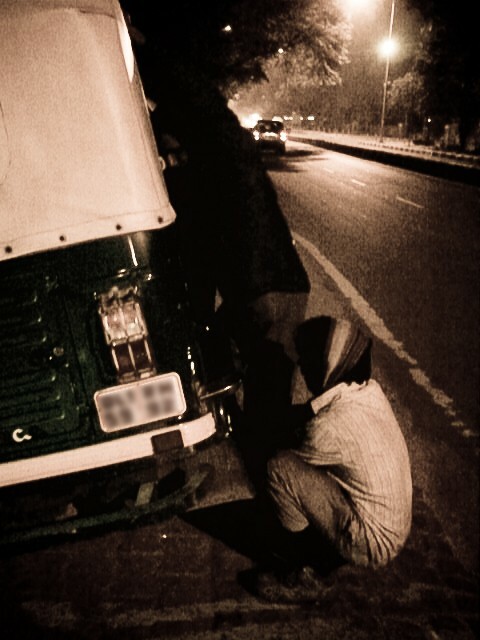 He's gotta have a few skills, when it comes to the roads of India. 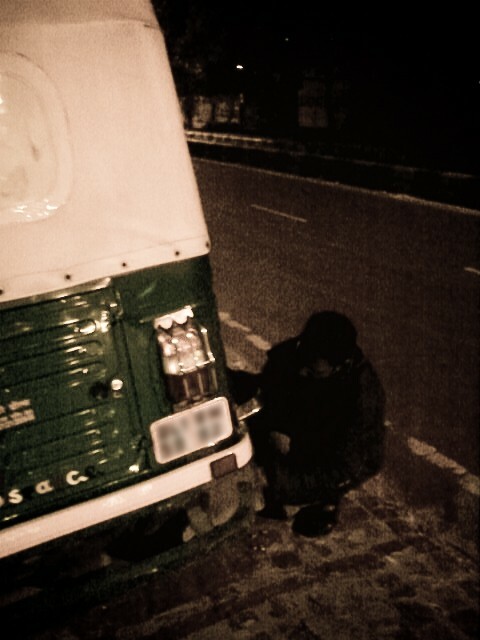 Though I've experienced only a handful, a flat tire must be common for a guy like him. And there's a system in place for what to do at a time like this. A code of the auto driver--you can wave down any other empty auto and the driver willingly helps to lift the three wheeler so that the tire can be changed with the one he's been sitting on all day. Its' a procedure that takes about 20 minutes in all.